Tasmania's promotional slogan "The Natural State" may sound like a clever marketing tool, but ask anyone that knows the land and they will quickly explain to you the terminology is well earned. Approximately 40 percent of the southernmost island state of Australia is protected as World Heritage wilderness, through mostly untouched national parks and environmental reserves. This makes Tasmania one of the most unspoiled natural fishing spots in Australia, and easily competes with the best of any trout fishing locations in the world. Although the only large native freshwater species in Tasmania are Blackfish and Eels, the state has a thriving introduced trout population, which began as a carefully researched project by numerous honourable individuals from 1852 onwards, with the first successfully sustained and managed stocking occurring in 1865. This careful planning and management has continued through to this day, meaning self sustaining trout populations can be found in some locations. 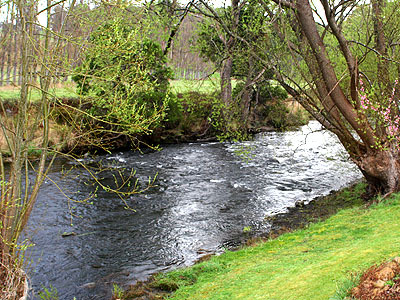 While most other Australian states rely almost solely on the introduced stocking of trout, completely farm raised and distributed widely on a 'put and take' basis, Tasmania is unique in that the work of these early pioneers provided an understanding of the local conditions, with knowledge advanced enough to support their ambition of self sustaining wild trout, which are still in circulation. In addition to this, the Tasmanian Fisheries department gather the eggs of these wild populations in order to rear their young to fingerling status and supplement areas where stock is unable to be completely self sustained. The use of stocking from wild populations in other parts of Tasmania is not only due to their availability, but also ensures the genetic profile of thriving local stock is not lost, should they ever come in contact with each other. 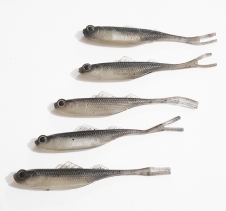 Unsustainable locations are commonly due to large numbers of redfin perch being present, unsuitable river bed conditions such as those containing a high amount of top level silt (very fine soil, much smaller than gravel particles) or in the case of trout accustomed to sea-run spawning, where access to brackish and salt water sections of rivers become an issue. Trout which were not raised in brackish water from birth often breed entirely in freshwater. For those interested in consistent catches rather than a tracking expedition, fisheries management departments and organisations have recently completed access pathways throughout the Tyenna River, one of the most popular fishing spots in Tasmania. River access is a 70km (or 1 hour) drive from Hobart and closely follows Gordon River road from Westerway to Maydena. Most of the river access is located along or just off this main road, there is also a disused railway path known as the old Derwent Valley Railway, which can provide additional access paths to and between fishing spots at some points. When asking most locals which river is best for trout fishing in Tasmania, the Tyenna is usually one of the first. Past research has shown there can be wild populations of up to 150 fish per 100 meters in these waters. 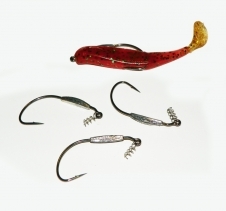 Rainbow and Brown trout of all ages and sizes are readily available. Connecting rivers and creeks also hold a decent amount of smaller trout. Mt Field National Park has a camping ground ideal for the travelling fisherman, which can be accessed a 2 minute drive along Lake Dobson Road when entering from Gordon River Road. The river is accessible via a short walk from the camping ground. For the tourist, this river provides great access by car and bike, historical sites, country villages, many choices of accommodation, and camping access at the central point should it be required. Best of all however, you will get to take in amazing national park scenery, often without leaving the main road for more than a couple of minutes, meaning less likelihood of getting lost out in the beaten tracks of the national park, and not to forget, amazing fishing the entire time. For those interested in accommodation, the best location by far is Platypus Playground Riverside Cottage, located in Westerway. This cottage literally backs on to the river, and 3lbs trout can be caught within 10 feet from the cottage bedroom. 2 rooms (One queen bed and one single), a small lounge with open fireplace, kitchen and a single bathroom feature within the cottage. Available for booking all year round and providing easy access to most of the river within a short drive or bicycle ride, along with a nice warm place to spend the night once you return. 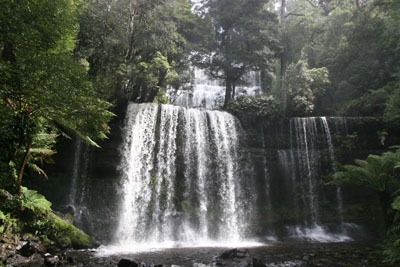 Mount Field National Park is located only a few minutes away, and the price for accommodation here is very reasonable. 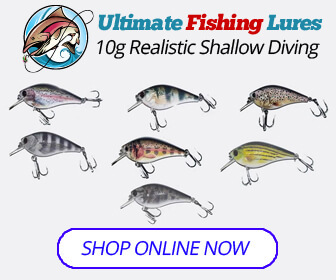 Whether you are a regular bait fisherman, fish for trout on lures or a keen fly fisherman, you can do it all along this journey and are almost assured a great many catches of medium to massive trout, regardless of your skill level. Note that bait fishing is not allowed within National Parks in Tasmania, so lures and/or fly fishing is required in some areas of the river. Starting from and ending in Hobart, for a 1 hour trip to the start of the river, and a 1.5 hour drive back from the end of the fishing trail (wading is however permitted beyond the final point in Maydena), you can't get a better starting location for a trout fishing adventure almost anywhere else when visiting Tasmania. View more articles in our Australian Fishing Guide. 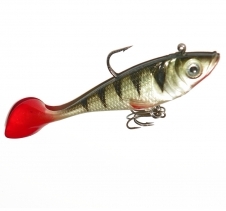 Enter your email address below to be updated on new fishing articles, fishing lures and special offers: We will only email once every two to four weeks at the most, usually every 2 months.